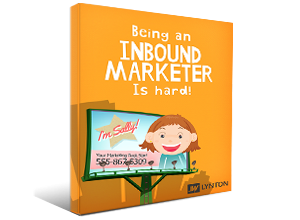 If you click here you can read my new eBook, all about the adventures of Inbound Sally! Check out our other eBooks, checklists and whitepaper in our resources section. Follow me and my inbound marketing friends on social media to learn about inbound marketing, websites, and more! They are really smart.